This is the project I've been working on during the past few weeks. 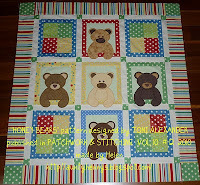 I found the pattern in Quiltmaker magazine (July/Aug '11). I used fusible applique and hand blanket stitch. My latest method of this stitch is somewhat different to the way most of us do it (at least, I think it's different!! - it is to me anyway!!)..... take a look at this illustration HERE I do this stitch from bottom to top, i.e: working away from myself and in an anti-clockwise direction. I poke my needle DOWN on the edge of the applique and then UP within the applique - this really makes a difference as usually you do it the other way and after a while, the edge starts lifting up and it's back to the iron you go. (BTW.. 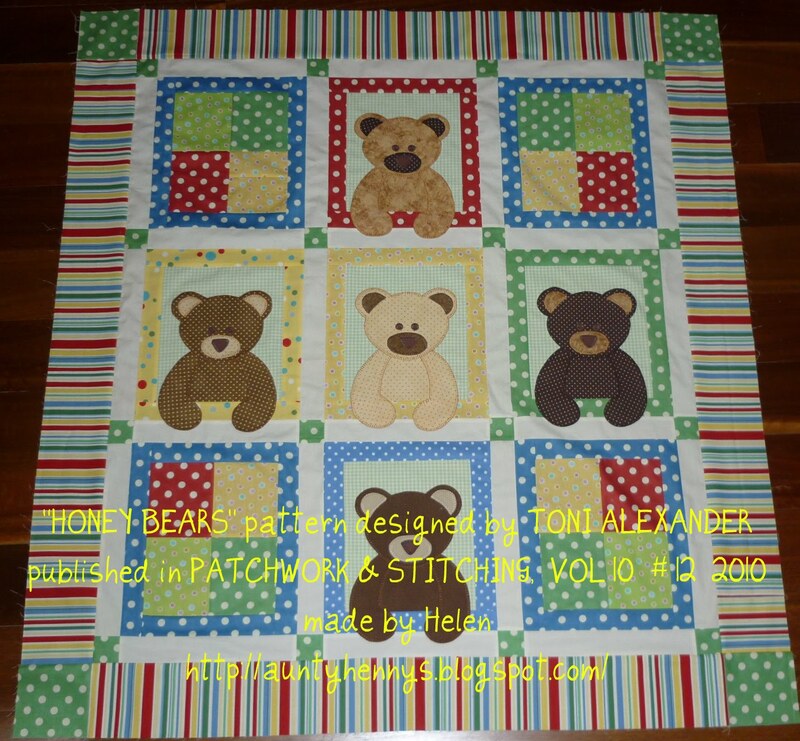 I'm right handed) This version is great for kid's quilts which will be getting lots of washing - the stitches won't roll-over! I'm still getting over my cold and my concentration levels are zero so when I did the joining of my rows, the sashing didn't line up as it should but it's okay. I'm sure I've mentioned this here before, but I use Bonnie Hunters method for adding borders, click HERE Perfect borders EVERY time!! It makes sense really, if you cut the border fabric using the quilt as your base.. you just can't go wrong! The book "Borders and Bindings" by Mimi Dietrich is also a wonderful "how to" that I just can't do without. I will be pinning this quilt tomorrow and then on to the binding..... yes, the ALL MACHINE way!! You know I love that method!! well, today I finally got around to pinning it ready for quilting. This quilt has been hanging in the "to do" cupboard far too long so it will be good to see it finished. 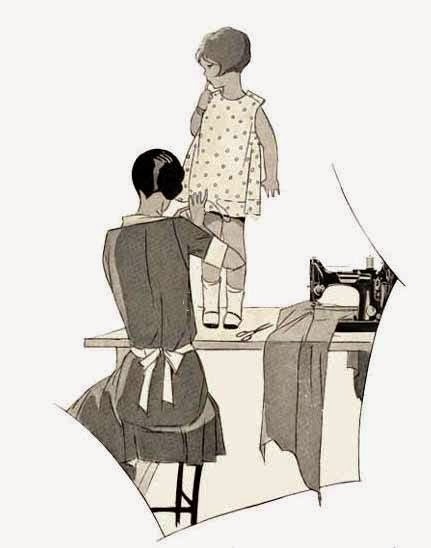 Of course, it hasn't been "ALL SEWING" around here. Fred went in to Hospital for his first dose of Chemo last Monday through to Wednesday. He's sort of okay, feeling a little crook, but sleeping well and still doing a little walk around the tennis court every day. Meals are a challenge but we are working hard at finding things he feels like eating. He didn't have an allergic reaction or any heart problems, so that was good. Unfortunately, he goes back in again Monday week, so not much of a break. Matt is back to normal... need I say more? He is a typical 18 year old - I want to know who invented the 18th birthday party????? there seems to be one every week! It's the same idea as our 21st, but that seemed more special to me.... anyway, he's out more than home, put it that way:-) He goes back to the hospital this Tuesday for his final check up and then hopefully he can go out and get some work as he can't go back to College until February next year. He's trying to be helpful at home and trying to be understanding about his Dad, but at his age it's all a bit scary I guess. So glad you are getting some sewing time in between all the other comings and goings. Great to hear about your men and to see that you've been able to get some sewing done. Interesting about the blanket stitch. Hope your week goes well. The tumbling monkeys is so cute. I am sure that Matt's reaction is perfectly normal for his age and all that he has been through lately. No, that is not much of a break from the chemo routine. Glad he tolerated it well this time. Love the quilt. As always, thank you for your tips. Hope your husband does well with his treatments and so happy to hear abut your son.